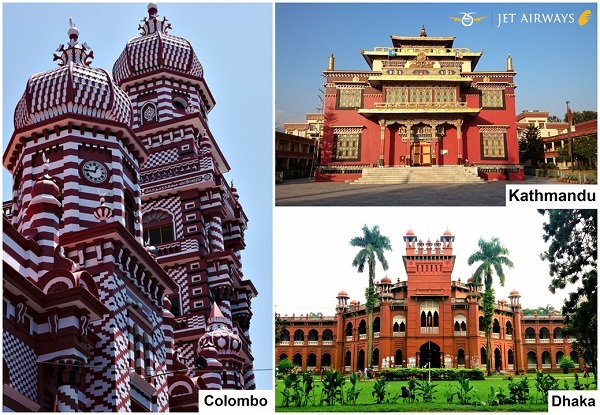 Experience adventure with Jet Airways from Singapore to Colombo, Kathmandu & Dhaka ! Home / News & Events / Experience adventure with Jet Airways from Singapore to Colombo, Kathmandu & Dhaka ! Fares are applicable on return journeys in Economy or Business from Singapore to Colombo, Dhaka & Kathmandu operated by Jet Airways. Sales validity : Now until 20 February 2019.